Ok so I’ve slipped with keeping this daily. It no longer tallies with the 12 days of XMAS, oh dear. Whoops! I will however patriotically soldier on with one review-let a day, with gaps for when I’m feeling pathologically lazy/worn out with the world/busy doing real d101 sorting out etc. Silly old me forgot to mention Fighting Fantasy in my intro piece. “How could you!? !” you weep. 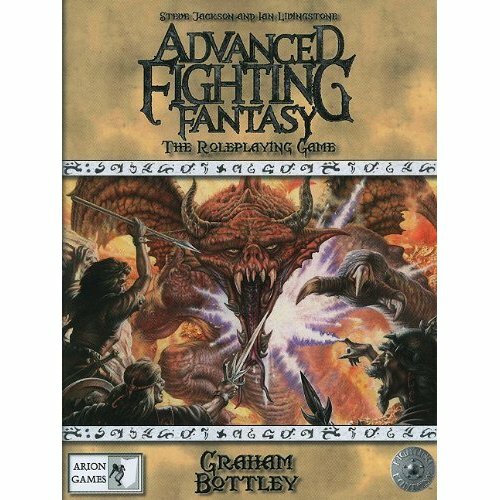 Well I was focusing on RPGs and FF fine as it was and entry point and inspiration for us Brits into the wider field of D&D land was never a RPG. Well not my snobby 15 year old mind. I kinda played with the nice Fighting Fantasy RPG, a simple but effective affair by Steve Jackson with a Tiger-Man-Thing jumping out of an exploding dice as a cover. I ran it once for my younger brother, which successfully introduced him to RPGs. Otherwise ignored it in favour for D&D. I was dimly aware of Advanced Fighting Fantasy by Marc Gascoigne when it came out, but I was bedazzled by the brilliance of RuneQuest at the time so it never registered. “Its not a proper role-playing game, its for Kids”, forgetting but five minutes ago I had been one of those kids. Verily was I in my Kevin the Teenager phase. So when Arion Games republished Advanced Fighting Fantasy as a 2nd Edition to much fanfare with a publishing deal with Cubicle 7 (which means it gets into your local gaming store), I felt honour bound to do my bit for Queen and Country and pick up a copy. The basic Fighting Fantasy game book system, expanded in all sorts of fun common sense ways. For example basic FF has all damage being 2 stamina and Armour is never a factor. Adv FF allows you to roll D6 to determine damage by weapon and reduces it by Armour type which again you roll a D6 against a short easy table (which you copy to your character sheet). There’s also a very groovy random dungeon creation method as well. Its a complete RPG which is very newcomer friendly without being patronising. You could buy this for somebody new to RPGs and they could easily run a game with it. There’s tons of examples, advice, lots of print off and play example characters, and a couple of adventures. All squeezed in with a very inclusive system – monsters, GMs guidance, setting info, full magic systems – all in all a nice one book game. Why this is important to the UK OSR? Its an ideal starter RPG for young and old alike. When the young Newtlings come of age and show interest old Dad will crack out Adv FF. It oozes the atmosphere and feel of UK OSR. Not just the obvious Russ Nicholson art, but also the text. If you want a complete chapter by chapter run down, along with what has been changed from the first version check this out. 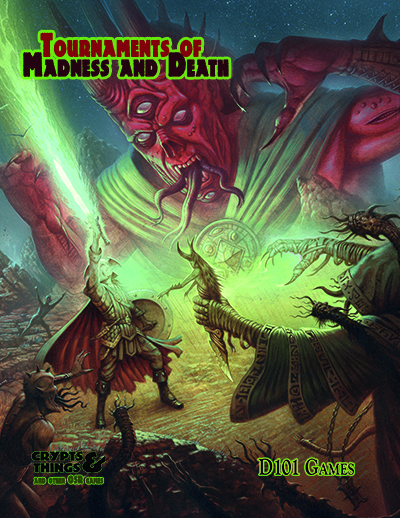 Lloyd of Gamebooks: More on Advanced Fighting Fantasy 2nd Edition. 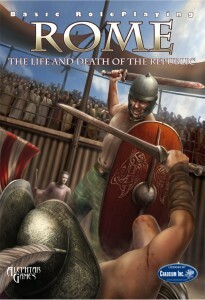 For my first UK OSR review, I’ll be looking at Basic Roleplaying Rome published by Alephtar games for Chaosium’s Basic Roleplaying Game, by UK author Pete Nash. The first half of the book gives a full comprehensive guide of the Roman Republic from its foundation to the its end with Augustus’ establishment of the Empire. There’s a lot of info here, that is peppered with pull out boxes of gameable info. You could argue that by picking up the right selection of history text books you could produce a similar guide, but the genius of BRP Rome is that it does this heavy lifting then peppers it with gameable nuggets (such as some rules for Chariot racing) in highlight boxes scattered throughout the text. The second half of he book gets down to business giving rules for Character gen, distinctive Roman Magic and Creatures. Finally there is a selection of Adventure seeds and biblography. Despite being published by an Italian company (which is very apt 😉 ), its by a British Author ( Pete Nash – one half of the Design Mechanism that are now working on RuneQuest 6). 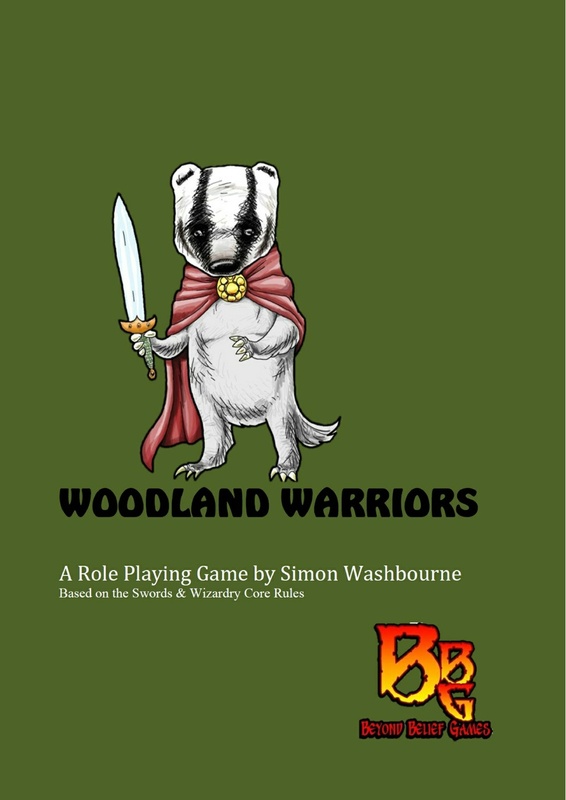 It is a break out product that shows that UK RPG writers can get international acclaim. Without any reviews it got a Silver Ennie, an awards ceremony infamously dominated by 3.5 D&D product. Apart from the core rules, its very much a solid all in one book. UK game books in the 80s were very good at craming as much gameable material in between the covers, and this continues that tradition. In many ways it could have been released as a series of White Dwarf articles back in the day. “Ancient Rome using RQ”, with parts 1-3 coveriing the setting material, whille 4-5 covering the rules specific chapters (chapter 6 would have had to have been a Fiend Factory special 🙂 ). To my mind it sets the bar high, of what a UK style book can achive in today’s crowded market as well being a bloody good gamebook which can run a wide range of Roman games out of the box. So onto business. Seems like some folk still need an education about what us UK gamers consider Old School, I’m looking at you narrow minded Yanks here with your love of an Original D&D that never was. One US OSR fanzine editor noted that in his recent trips over to Dragonmeet & UK Games Expo he hadn’t seen any evidence of OSR publishers….he obviously hadn’t looked at the Cubicle 7 stand , who publish a fine selection of UK OSR games. 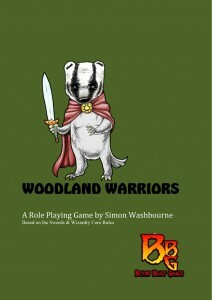 If you think the UK OSR is just about D&D clones, read on. For us Brits the Old School is anything that we could have picked up from Games Workshop from the late 70s to late 80s. Sure there may have been other games shops lurking in backstreets of our cities but Games Workshop was the important one, it had a big high street presence in all major cities, and that’s were everyone got their games. They published White Dwarf that was sold in mainstream newsagents, like WH Smiths. The end point of the UK Old school can be very neatly when GW, who had merged with Citadel Miniatures a couple of years previous, dumped RPG support in 1988, quite literally overnight. There’s a reason why RuneQuest is so big in the UK, its because you could pick up GW’s RQ3 hard covers dirt cheap from the bargain bin when they decided to concentrate on miniatures games. Others took up the retail side of RPGs, notably the games sections of Virgin megastores (where a young Lawrence Whitaker was employed in the Leeds branch), and over time the network of games shops we have today grew up; but it was never on the scale of the halcyon days of 80s Games Workshop. But in a sense these games never really left us, mainly because of geographical proximity of gamers in this country its easy to find someone playing old school games, and because its a shared gaming heritage amongst UK gamers of playing : D&D*, Warhammer Fantasy Roleplaying 1st Edition, Games Workshop’s Judge Dredd Roleplaying game, Golden Heroes, Dragon Warriors, RuneQuest*, Stormbringer*, Traveller* and Call of Cthulhu* (* all these games although not developed by GW had GW editions at some point in the UK). So its no surprise that with the resurgence of RPG publishing that has occurred over the last decade, that some of these games have re-emerged in new editions or games that have directly been influenced by the fine standards set by those 80s games.